22" Long end-to-end - ONE OF A KIND! 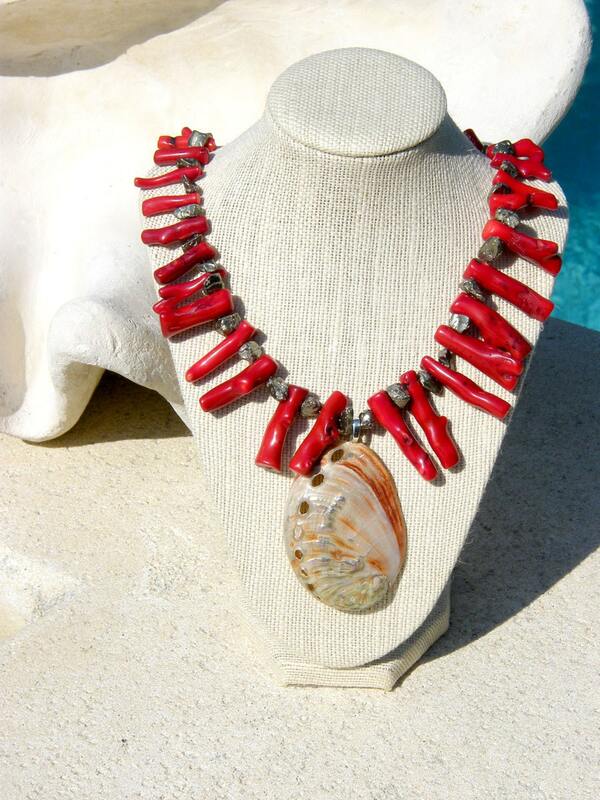 Chunky Red Coral necklace with beautiful specimen of Red Abalone accented necklace. Slip through clasp makes for easy take on or off. Wear it for a sophisticated yet casual beach party look or an evening out with a tropical flair. Beach themed wedding? - Perfect accent! Stunning piece that guarantees to get you attention and plenty of envy! Please convo for International shipping rates. Tropical Chain bracelet - coral and ivory beads with swarovski dangles with gold chain. I love my new Yin Yang bracelet, It's perfect! It was shipped quick and I got it within just a few days.